VOC (volatile organic compounds) are a huge family of gases and gaseous substances, many of which are considered pollutant, toxic or carcinogenic. Because of their volatile nature, they easily spread into the atmosphere. Thus it is necessary to get protected against them with VOC detection and measurement devices such as a VOC detector. Volatile organic compounds (VOC) are natural or anthropogenic (manmade). Because of their volatile nature, they easily spread into the atmosphere and their toxicity requires particular monitoring with a VOC detection system. Which fields of activity need voc detection?
. Cosmetics industry: deodorants, disinfectants, nail polish or nail hardener.
. Medical, paramedical & veterinary sectors: alcohol, bactericidal and insecticides.
. Paper industry: oranges packaging, paper for computers.
. Industries and usage of printer paint and ink (preservative).
. 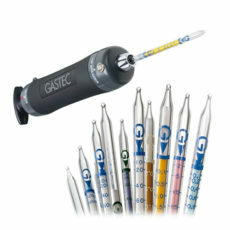 Plastic industry: manufacture and use of glues and adhesives.
. Textile industry: smoothing agents, whitewashing of colored textiles.
. Leather and fur industry: conservation and leather tanning, preservative.
. Building disinfection: household products, detergents.
. Horticulture and agriculture: bactericidals, fungicides and herbicides.
. Diesel motor gas emissions.
. Fumes from wood, coal and polyethylene combustion.
. Fuel and oil refinery. In all of these different fields, it is advised - and sometimes even mandatory - to use VOC detection devices or complete systems to ensure safety. Especially designed to simultaneously detect from 1 up to 7 gases, the X-am 8000 portable multi gas detector can also be equipped with an external sampling pump to draw remote samples. For combustible gas (catalytic or infrared), amines, Cl2, ClO2, CO, CO2 (electrochemical or infrared), H2, H2S, HCN, NH3, NO, NO2, O2, O3, PH3, SO2 and volatile organic compounds (10.6 eV PID lamp) monitoring. 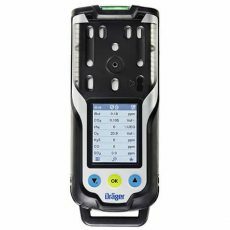 Especially designed for use in pump mode or diffusion mode, the X-am 8000 portable multi gas detector can simultaneously monitor up to 7 gases. Particularly well-suited to perform control measurement before operating in confined spaces, the 7 gas monitor X-am 8000 can be equipped with an external sampling pump available in option. Using the pump mode is very convenient and useful to monitor spaces hard to access. Easy to mount and to remove, this pump requires no tools and is it very easy to switch from diffusion mode to pump mode. Compact and discrete, this portable 7 gas monitor features 3 navigation keys and a colored display for easy and swift measurement values readout. Very convenient, this detector has been engineered for one-handed operation. As it is also robust and rugged, this multi gas detector is extremely efficient in hostile environments and in the harshest conditions. This device also features three bright LED indicators based on a color code compliant with the NF EN 60079-29-1, NF EN 45544-1 and NF EN 50104 standards. This way, the red light indicates an alarm due to hazardous concentrations gas; the yellow light an alarm is related to a device failure –like a low battery status for example - and the green light indicates the proper operation of the device and that it is ready for use. In case of an alert event, audible (110 dB at 30 cm) and vibrating alarms are activated in addition to the visual alarm. The 7 gas monitor X-am 8000 also integrates an impact detection system. This way, any mechanical impact that can damage the device is stored in the device’s memory. This data is stored in the device internal memory that can also store data on hundreds of exposure hours. Lastly, the X-am 8000 portable mutli gas detector is powered by a lithium-ion battery that can be charged through an induction charger. Thanks to this innovative non-intrusive charging system, common issues from standard charging systems are removed – such as pin corrosion and contact problems. The PAC® 8000 portable special gas detector can accurately monitor concentrations of gases like phosgene (COCl2), organic vapors (OV), carbon dioxide (CO2), ozone (O3) and nitrogen oxide (NO). 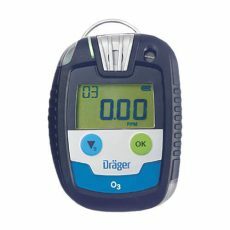 Can detect lower gas concentrations (starting at 0.01 ppm for COCl2). Intuitive operation with large backlit display. Data recording (concentration levels and alarm events). 360° alarm (90 dB signal, LED lights, vibrating alarm). ATEX, CE, IECEx, cCSAus approved. Small, compact and lightweight, the PAC 8000 portable special gas detector is a disposable gas detector designed to continuously detect carbon dioxide (CO2), chlorine (Cl2), hydrogen cyanide (HCN), ammonia (NH3), nitrogen dioxide (NO2), phosphine (PH3) organic vapors (OV or OV-A) during two years. This personal monitor can be equipped as well with specific sensors in order to monitor hazardous concentrations of special gases like ozone (O3) at very low concentrations from 0.02 ppm, phosgene (COCl2) from 0.01 ppm and nitrogen dioxide (NO2) from 0.04 ppm. The PAC 8000 portable special gas detector has been designed for use in any situation, even in the harshest environments. Thanks to its robust housing design, this device is waterproof, impact-resistant and immune to corrosive chemical products. Its two powerful sensors with a low T90 response time ensure ultra fastt reaction and accurate measurement of the target gas. Its filter is protected against water, dust and other foreign bodies and can be easily replaced if clogged without particular technical skills. Thanks to its crocodile clip, it can be easily worn close to the breathing tracts to get even more precise measurements. Thanks to its two powerful flashing LED that can be seen at à 360°, its 90 dB audible alarm and its vibrating alarm, the PAC 8000 special gas detector can alert users in presence of hazardous concentrations of the target gas. 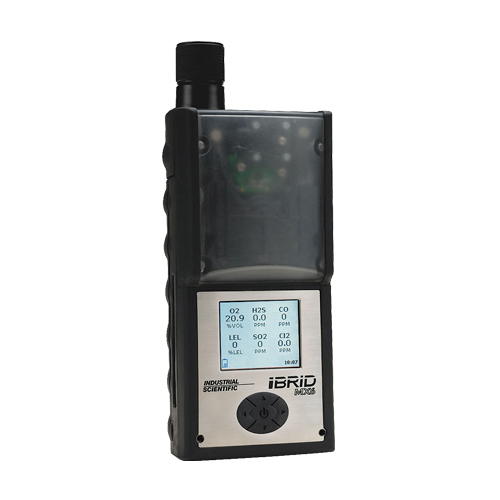 The large backlit screen of this portable and disposable gas detector clearly indicates gas concentrations even in the darkest areas but also displays other important information such as remaining battery capacity or passed alarm events values. The PAC 8000 portable gas detector also logs concentrations and alarms so that they can be downloaded to a PC via an interface and processed further even if they were already acknowledged. 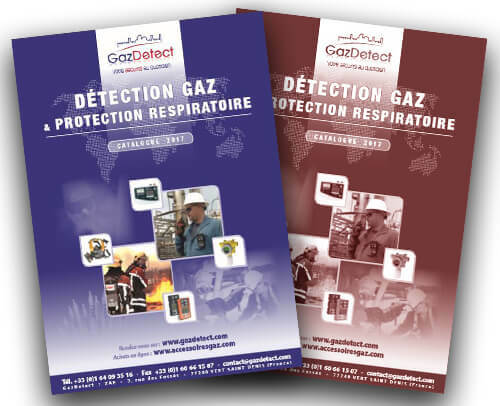 Each version of the special gas detector PAC 8000 is equipped with extremely durable sensors and powerful batteries to provide a continuous runtime over two years. The colorimetric gas detection tube system is a simple and accurate solution composed by a manual sampling pump and a specific gas detection tube. They are designed for use together. The MX6-VOC accurately measures presence of volatile organic compounds (VOC) in ambient air using a 10.6 eV PID photoionization lamp from 0 to 2,000 ppm in 0.1 ppm increment. Volatile organic compounds – most commonly known as VOCs - gather thousands of substances and gases. They can be found in many fields of activity. The MX6-VOC gas detector is a classic single-gas detector especially designed to detect these substances. Thanks to its ion-lithium rechargeable battery, it can operate during 12 hours according to the application. The MX6-VOC gas detector needs to be calibrated twice a year in order to ensure proper operation. The photoionization sensor (sensor technology for VOC detection) can detect volatile organic compounds with a ionization potential below 10.6 eV. The MX6-VOC measuring range is set between 0 and 2,000 ppm in 0.1 ppm increment. An integrated gas sampling pump guarantees measurements accuracy. This pump also enables to draw remote samples before intervention. According to the configuration, it is possible to add up to 5 more gases to the MX6-VOC. This VOC detector features 3 different alarms. The powerful audible alarm is designed to alert even in noisy environments. The high visibility red LED visual alarm and a vibrating alarm are also made to ensure a high level of protection. Its large colored screen displays concentrations in ppm (part per million) or in percentage volume. Digital values can be replaced visually thanks to the user-friendly menu. The MX6-VOC gas detector is impact-resistant thanks to an over-molded polycarbonate housing. This monitor meets almost any EU current gas detection related standards. Featuring PID technology (photo-ionization sensor) and designed for organic vapor detection, the CUB COV detector (for volatile organic compound) offers ppb or ppm VOC and TAC (total aromatic compound) measurements. 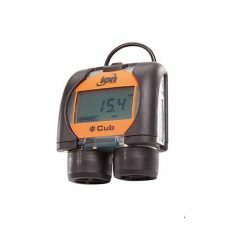 The CUB is a portable VOC detector with photoionisation detection (PID) technology designed to quickly and accurately detect volatile organic compounds, keeping workers safe within working environment. With parts-per-billion (ppb) sensitivity, the CUB personal gas monitor gives an early warning of exposure to hazardous gases. Comfortable and unobtrusive to wear, the CUB can be easily worn close to the breathing zone thanks to its crocodile clip and is to date the smallest, lightest, personal VOC detector available. CUB personal detector has a dynamic range of 0 to 5,000 ppm – the widest on the market – measuring 480 selectable compounds. When worker exposure exceeds pre-set limits, an audiovisual and vibrating alarms alert users on hazardous gases concentrations. Readings are displayed on a bright, backlit LCD display with selectable data logging time. Its long duration battery enables a continuous operation during 16 hours when fully charged. CUB’s patented photoionisation detection (PID) sensor technology has been independently verified as best performing for speed, accuracy and humidity resistant operation. The PID sensor’s Fence Electrode features a humidity resistant and anti-contamination design providing extended run-time in the most challenging environments. Thanks to this technology, the CUB gas detector offers fast response to hazardous gases and vapors (less than 13 seconds). The CUB personal VOC monitor is available as a standard instrument with 10.6 eV lamp for accurately detecting a wide range of volatile organic compounds (VOCs) in parts per million (ppm) levels. The CUBTAC ppm variant version with 10.0 eV lamp can accurately detect total aromatic compounds (TACs), including benzene. Both models can be quickly and easily upgraded with parts per billion (ppb) sensitivity. This small and lightweight VOC portable detector is easy to use with a simple one button operation and an intuitive software. The instrument kit includes a charging docking station and calibration certificate. 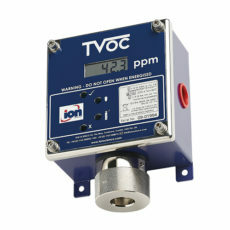 The TVOC is a VOC (volatile organic compounds) detector with stationary photoionization for continuous accurate measurements.